Blair is one of Jay Conner's ultra successful students. He has $300K in Private Money available since learning about it from Jay. He has done 20 deals since working with Jay. He averages $30,000 in profit per deal. Blair Halver is the founder and creator of Dealbot, a motivated seller lead generation company, and has managed nearly $2mm in marketing spend and generated over 100,000 motivated seller leads. He also buys and sells houses himself in the Winston-Salem and Charlotte NC markets, and in the past year alone has acquired nearly $3mm in cash flowing rental properties with zero money out of his pocket. 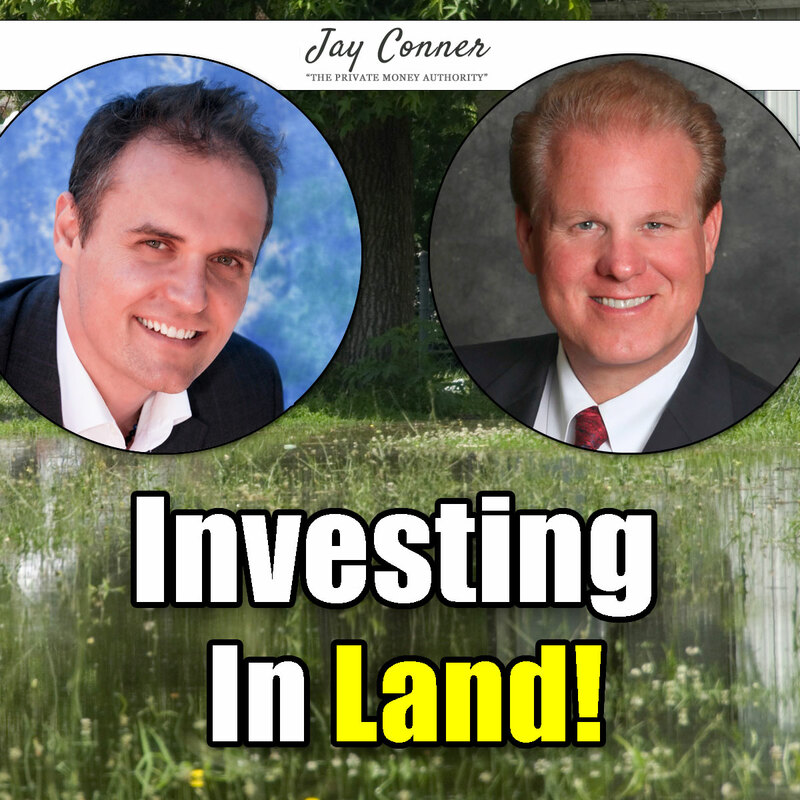 Blair joins Jay Conner, The Private Money Authority, to discuss How to consistently "flip" 5+ houses a month without wholesaling, rehabbing, chasing deals, or working 80hrs/wk. Join Blair on his webinar at https://www.jayconner.com/blair Webinar: How to consistently "flip" 5+ houses a month without wholesaling, rehabbing, chasing deals, or working 80hrs/wk. Secret to Success: Just Keep Going! You learn as you go along. Jay's Saying: It is impossible to fail until you choose to quit. Before becoming a real estate investor in 2016, Blair was a sound recorder for TV talk and reality shows, like Dr. Phil. He did that for 12 years in Hollywood. He read Rich Dad, Poor Dad, then started a side business. He finds leads by calling expired listings. Then he uses Facebook ads and gets one lead out of 24 FB ad responders. He has a team of three. One FT VA in Philippines who calls leads, two acquisitionists. His team runs the closing calls. Everyone is paid on commission: 20% on down payment. Blair uses Seller Financing to close deals. "What's the best you can do Price/Payments/Financing?" Blair explains how he finds buyers. He uses each property as bait for more buyers. All prospective buyers go on a list. In the deal Blair discusses he switched the buyer from a renter to an owner. 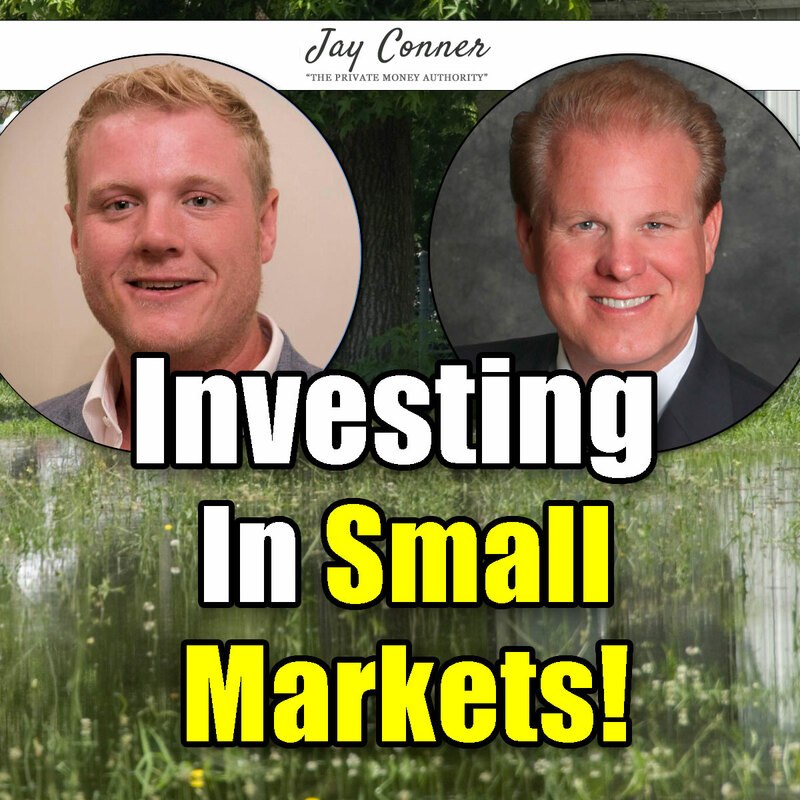 "The quickest path to a deal is talking to as many sellers as quickly as you can"
Jared Irby, IRBY Homebuyers, joins Jay Conner to talk real estate investing. His success comes from being consistent and massive action. Jared Irby, President of IRBY Homebuyers and the IRBY group of companies, is an experienced entrepreneur with a unique and diverse skill set. Jared has opened and sold multiple successful ventures in his career. Two startups were taken to over $10MM per year in revenue with significant cash flow and profits. He is highly skilled in marketing, sales, and business management as his diverse experience has required. Jared attended the University of South Alabama on an academic scholarship but left prior to graduation to start his first of several successful ventures which rapidly grew to over 100 employees. He started buying & redeveloping real estate 10 years ago and has never looked back. Jared is an Alabama Real Estate Licensee (inactive) and pursuing a CCIM designation. Over the last 10 years, Jared and his group have companies that have flipped hundreds of houses, acquired hundreds of apartment/rental units, and transacted tens of millions of dollars in real estate deals. Along with real estate and business, Jared is passionate about spending time with his two young daughters and is also a licensed pilot that enjoys ample amounts of flying, hunting, fishing, and boating along the amazing Gulf Coast where he calls home. consistently with checks coming in for years and even decades. business and investments allows them the luxury of living life on their own terms. Jack flips land like investors flip houses. Some are quick transactions and some are long term and generate residual income. 3) Land in the city ready to build on. Jack wholesales them. He also focuses on properties below $100K. He buys a $30K property for $5K and sells for $16K. Students in Germany, Japan, Jamaica are doing deals in the USA. He also sells with seller financing. A 15% down payment covers your cost. And now they pay $400 a month for the next 8 years. No repair issues. Land is almost competition free. Jack has done deals in 17 states so far. Buyers are found on Craigslist, RedFin, Zillo and FB MarketPlace (#1). One student had 5,000 inquiries on one deal on FB Marketplace. He ended up with over $20k in profit. New investors should know yourself and where youare in life. How much you know about your business, etc. Then design a strategy based on that. There are big differences between $20K deals and $8,000,000 deals. Known as “the Land Guy,” Jack Bosch is a real estate investor, educator, husband, and father. Originally an immigrant from Germany who came over with just 2 suitcases and a bunch of student debt, Jack (with his wife Michelle) have found their niche in Real Estate. Since 2002, they have been buying and selling lots and unimproved land and have flipped more than 4,000 transactions. It only took them 18 months to go from Zero to $1,000,000. 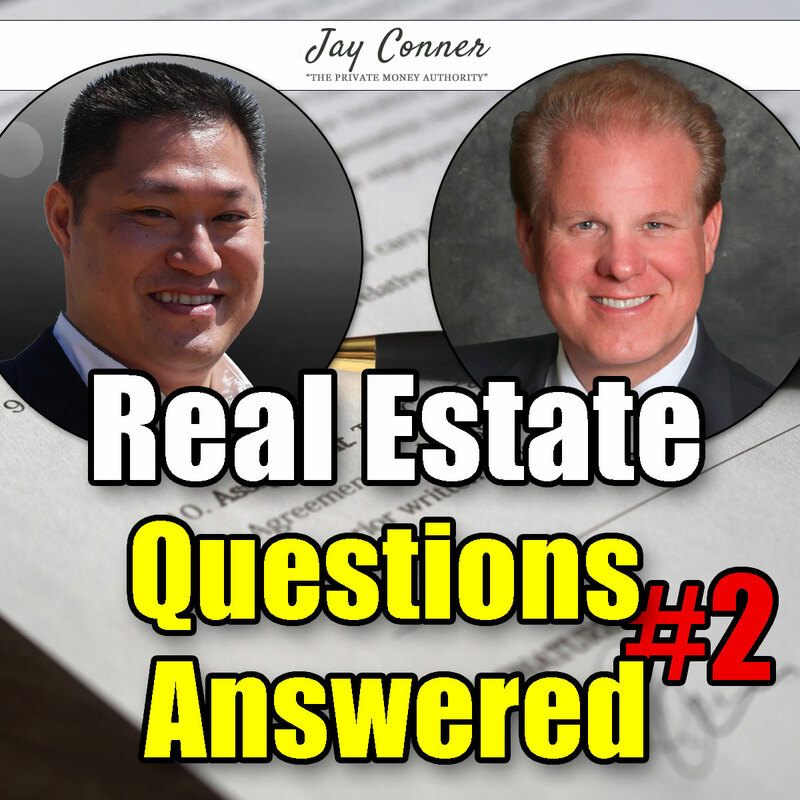 Since 2008, Jack and Michelle also have been educating those who either find houses too challenging or are unsatisfied with the competition and teaching them how to make more money from simple land and lot flips. Plus, they have figured out a way to make land cash flow massively and consistently with checks coming in for years and even decades. In addition to land flips, Jack and Michelle also own a portfolio of rental houses, commercial properties and even large apartment buildings. However, land and lots is their first passion because as Jack says there are no “Tenants, Toilets and Termites” on land, which really means no repairs, no inspections, no mold, no contractors. While still flipping over 100 properties a year, they now spend 2-4 months a year traveling the world with his family. They designed their business to fit their lifestyle, and the cash and cash flow from the business and investments allows them the luxury of living life on their own terms. Jack is also a #1 bestselling author of the financial literacy book "Forever Cash, break the earn-spend cycle, take charge of your life, and build everlasting wealth" - https://www.amazon.com/Forever-Cash-Earn-Spend-Charge-Everlasting/dp/1614487820 and hosts the successful podcast “Forever Cash Life - Real Estate Podcast". 8) If the tenant buyer can't get a mortgage in time, or move out, the option fee is retained and you can sell the house again. Jay has closed out 27 deals in the past 12 months. How do you get private money when you don't have credentials when starting this business. How much do private lenders care about experience? What is your elevator Pitch at BNI? ## What do you do with the private lender's funds while you're looking for a deal? ## To get the money wired, do you need to get the attorney in touch with the lender? ## Who pays the transaction fees from borrowing Private Money From a Private Lender's IRA? How do you address Senior Citizens Concerns that they may die before they get paid out from their loan? What's the average age of your private lenders? How is the private lender protected if the Real Estate Investor Dies? If you sold a home using your rent to own process during the peak of the market, what are your options if there is a correction in the market and your property begins to depreciate? How do you decide which Self-Directed IRA company to use? What's your morning routine like? Reading news, etc. What's your reading list now? When a Private Lender loans money, is it deal specific, or are they investing in a program or pool of funds? Do you use a quit Claim deed to transfer property with your foreclosures? Are you able to buy foreclosures directly from the bank? Do you use private money when you're buying a house subject-to the existing note? Can you use private money when you're buying a home with seller financing? Discover how to protect your assets from malicious litigation. Minimize your tax liability with Trusts. When buying real estate, renting real estate or rehabbing real estate, huge sums of money are involved. Many lawyers work on a precentage of the settlement. If you lose, you do not have to pay your oponents legal fees. All this adds up to over 40 million lawsuits are filed every year in the United States with the total number of registered lawyers exceeding one million. Bruce Mack is one of the nation's foremost authorities in financing, credit, and other financial services. Having been in the financial services industry for well over 20 years, Bruce is a highly sought after and well known national and international speaker. He has shared the stage with Donald Trump, Al Gore, to name a few. His book “Changing Your Financial Future” has helped thousands of people and his financial software program helps get rid of all consumer, business, and mortgage debt in 10 years or less. As an entrepreneur, Bruce has ventured into many successful businesses both inside and outside the financial world. For the last 25+ years, Bruce has also been a real estate investor and has flipped and wholesaled properties across the country. Bruce has been involved with over $92,000,000 in transactions. He also consults on real estate investing throughout the US and Canada. For the past 20 years, Bruce has been on a quest for the quintessential Asset Protection Trust. Having studied families like the Kennedy's, the Carnegie's, and the Rockefeller's, here quickly learned the fantastic capabilities that these types of Trusts offered. In 2018, Bruce found and partnered with an elite team of attorneys who copyrighted a proprietary Bulletproof Asset Protection and Tax Mitigation Trust so that he could share it with his clients. 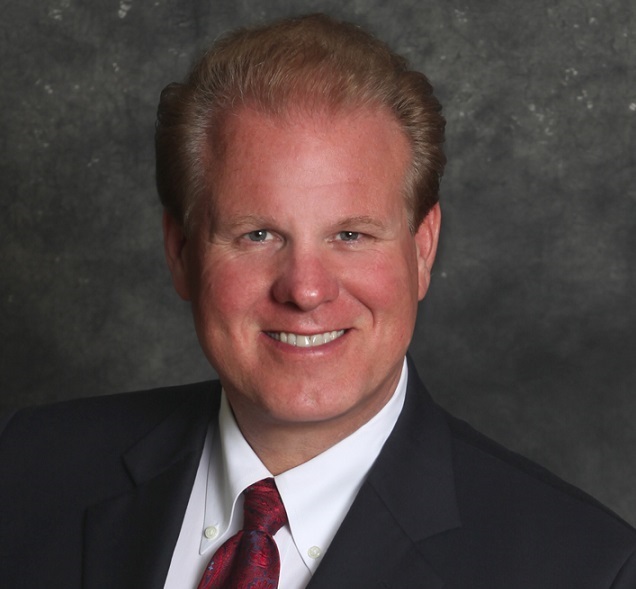 Bruce is the former Regional Manager for one of the nation's largest banks in the credit card merchant acquiring area. He is a licensed Financial Advisor, and past owner of a licensed and bonded credit repair company.